Company of Spanish origin focused in the production of blades for wind turbines, will settle its new industrial plant in March 2019. The new Spanish company will generate about 500 jobs and will be dedicated exclusively to the manufacturing of molds. The product manufactured on the border city will provide supply nationally, as well as to the United States and Latin America. Cadena noted that the arrival of three more companies is anticipated and confirmed that will work as suppliers of TPI Composites and that will also will provide a high percentage of job generation for the entity. 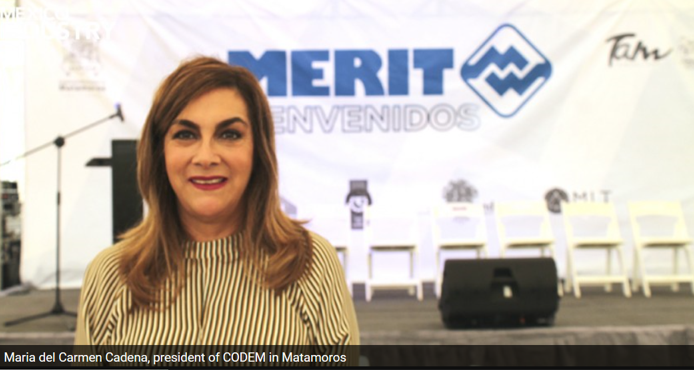 “The city will grow even more, and not only with the arrival of the companies, but with the new provisions observed such as the “Free zone in the northern border” which will benefit the companies settled and will make the city more attractive to invest,” noted Maria del Carmen Cadena. Finally, she underlined that Matamoros is increasingly attractive for the investment of foreign companies, dedicated to the wind power sector, its geographic advantages for being a border give it that benefit, without doubt 2019 will be a steady year for the maquila industry.